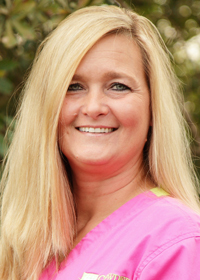 I really enjoy interacting with our patients and their families, in addition to being part of the “Crowder Team.” Our happy, positive environment means not only is this a great place to work, but our patients are glad to come see us, too. Here in the office, I handle our accounts payable and receivable, insurance matters, the internal and external marketing, and finances after the initial set-up. My work is challenging and interesting, with no two days the same. At home, my husband Andy and I have three sons: Randall, Jake, and Jonathan. They keep me busy, but I do find time to paint and scrapbook. I enjoy watching the transformation of our patients’ teeth and appearance, from the beginning to the end of treatment, and the difference that a beautiful, healthy smile makes in their lives. Our work here is important and we take what we do seriously, but we do so with laughter. 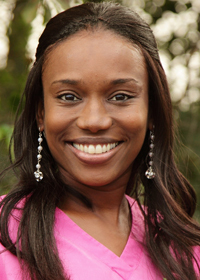 As treatment coordinator, I oversee our new patient appointments, the initial paperwork, and financial arrangements. I also handle our correspondence with referring dentists, periodontists, and oral surgeons. Away from work, everything is centered on my two amazing children, Cody and McKenzie. I spend most of my free time watching them play baseball and softball. We also love going to the lake, tubing, and going to the beach. Interacting with our patients, getting to know them as they progress through treatment, and seeing their happiness when their new smile is revealed, makes my days wonderful. I always greet our patients when they arrive and take time to talk with them about what’s been happening in their lives since their last visit. I also answer our phones, schedule appointments, and handle check-ins and check-outs. My job makes me happy and that carries over into my home life. I am very active in my community and church, and I love to read and shop, too. Talking with my patients, sharing in their excitement as treatment progresses, and then seeing how happy they are when their braces come off, are the best parts of my work. 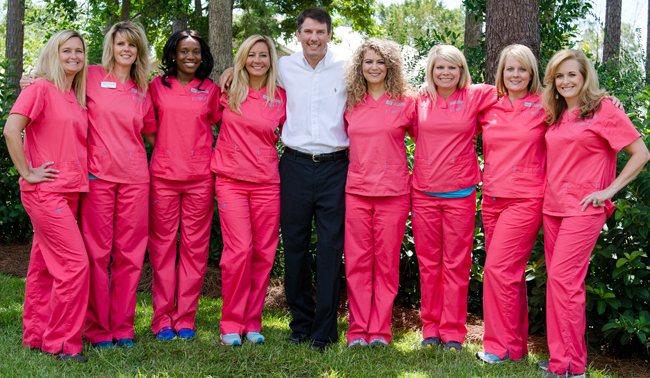 Our patients are the best, and because our office is such a fun place, we are always laughing. I remember when I first came here, but that was when I was a patient. Now I’m a “Crowder Team Member” and I love my work. I provide chairside assistance, take the initial patient records, and handle the shipping and receiving of appliances, too. At home, my family revolves around my husband Scott, two children, Blake and Emily, and our pugs, Zeus and Lucy. While I do enjoy meeting new people and seeing our patients, I really love to see the amazing transformations in our patients’ smiles! Being a part of that process is incredible and very fulfilling. I’ve been cross-trained at our office, so in addition to assisting Dr. Crowder chairside, I step in at the front desk or in taking initial records when a coworker is out or on vacation. I also oversee our supply inventory and ordering. Away from work, my life includes Brent, my husband, and our son, Cason. I enjoy watching Cason play baseball and travel ball, and love spending time with family and good friends. I love watching the progress that our patients make throughout their treatment. You can feel their excitement grow as the time approaches for having their braces removed, and we all celebrate the day that we get to see their new, incredible smile! 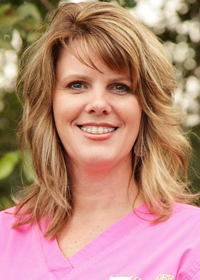 My work here allows me to get to know each patient, because I assist Dr. Crowder with bonding the braces and changing wires. I also make sure that our patients are comfortable and relaxed while they’re visiting us. My home life consists of my husband of 23 years, Charles, and our two children, Kellie and Caleb. Kellie recently got married and we have a wonderful son-in-law, Jacob, too. My favorite times are those spent with my family, but I also enjoy reading. That day when the braces are removed, and the patient’s new smile is first seen, is truly priceless. Our whole office is happy, smiling and laughing with the patient, because we know that our hard work has paid off and that the patient has a great future ahead. 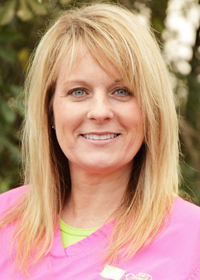 As an orthodontic assistant, I perform adjustments, assist with placing braces and removing them, and give hygiene instructions. 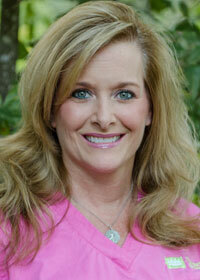 I also set up our Invisalign® accounts, do lab work, and handle our Facebook page. As for my personal life, I live in Ozark with my wonderful husband of 21 years, Chris, and our two children, Taylor and Connor. I enjoy painting, photography, and surfing Pinterest. 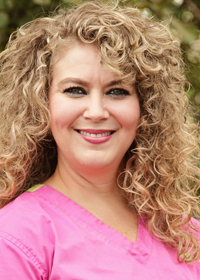 I assist Dr. Crowder chairside in all aspects of our patients" orthodontic treatment, and also work in the lab pouring up models and making retainers. 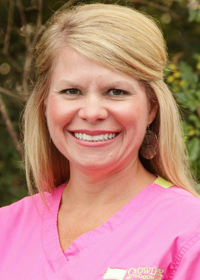 I first joined the dental field as a registered dental hygienist in 1989, and have enjoyed bringing my many years of experience here to Crowder Orthodontics. 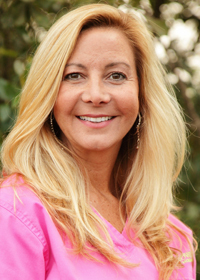 I’ve loved every minute since joining this team, from the excitement of the patients and their families at the beginning of treatment to seeing the final results when the braces are removed. My teammates are all so vivacious and fun, which makes "work" a real pleasure! I have been married to my husband, Rex, for 27 years. We have two handsome sons: Grayson and Austin, and we have our hands full with three dogs, two horses, and two cats. I have a home-based jewelry design business and love to trail ride with friends when I"m not making jewelry.